Active facial oil serum designed using the most pure, highest quality, natural oils. Hydrating, non-oily, calming formula for superb moisture retention and youthening properties. 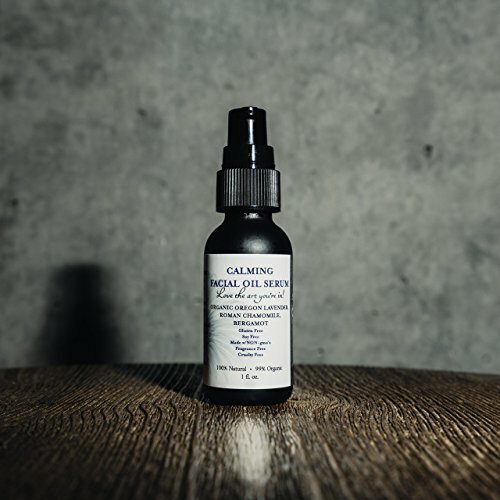 This light, refreshing, balanced facial oil serum will be a joy to add to your daily routine. You can use this serum on its own, or you can mix it with your daily moisturizer. The high fatty lipid profiles of oils like avocado and coconut will soothe your skin, and the beautiful blend of essential oils treats your skin and smells great. INTENTION: This product is designed to be used daily to help treat inflamed, angry, damaged skin. We use organic, virgin oils full of fatty acids and lipids to help hydrate, nourish and calm skin. Olive, avocado and coconut oils all have active enzymes to replenish tired skin. View More In Oils & Serums. If you have any questions about this product by Susie Q Skin, Handmade, contact us by completing and submitting the form below. If you are looking for a specif part number, please include it with your message.